Mark Jurdjevic focuses on the Florentine dimension of Machiavelli’s political thought, revealing new aspects of his republican convictions. 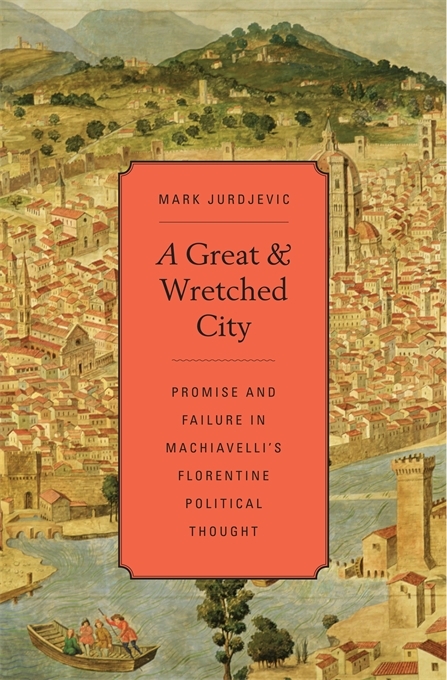 Through The Prince, Discourses, correspondence, and, most substantially, Florentine Histories, Jurdjevic examines Machiavelli’s political career and relationships to the republic and the Medici. He shows that significant and as yet unrecognized aspects of Machiavelli’s political thought were distinctly Florentine in inspiration, content, and purpose. From a new perspective and armed with new arguments, A Great and Wretched City reengages the venerable debate about Machiavelli’s relationship to Renaissance republicanism. 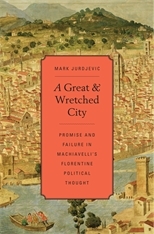 Dispelling the myth that Florentine politics offered Machiavelli only negative lessons, Jurdjevic argues that his contempt for the city’s shortcomings was a direct function of his considerable estimation of its unrealized political potential.